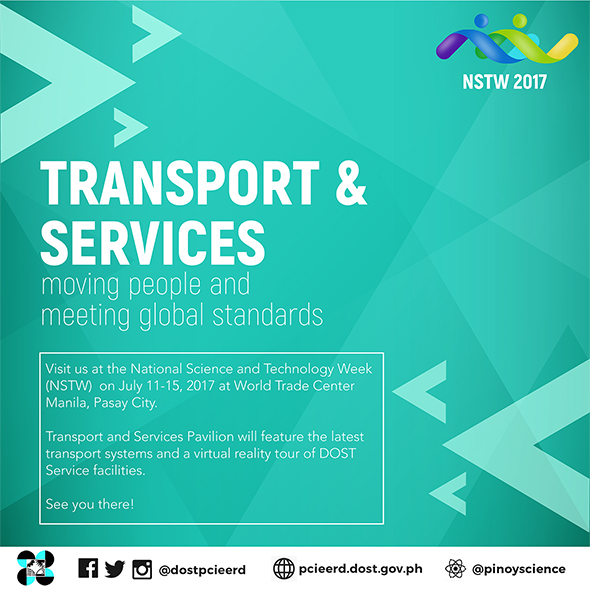 Visit us at the National Science and Technology Week(NSTW) on July 11-15 at World Trade Center Manila, Pasay City. 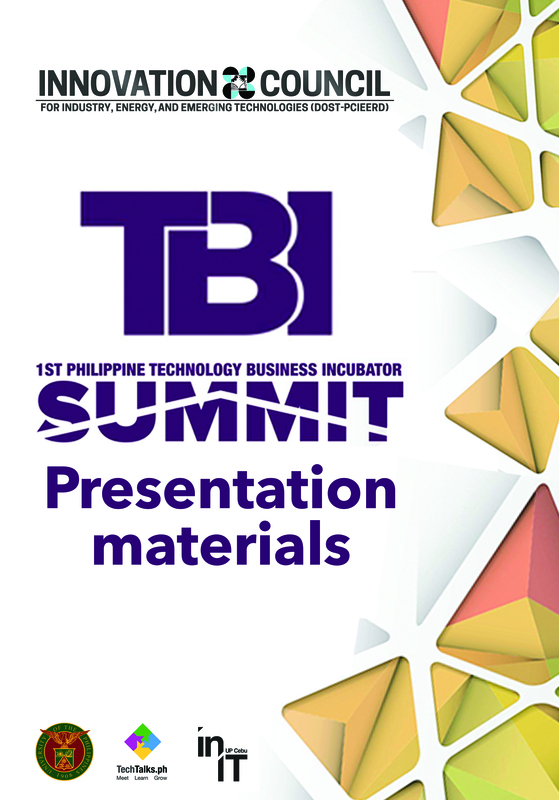 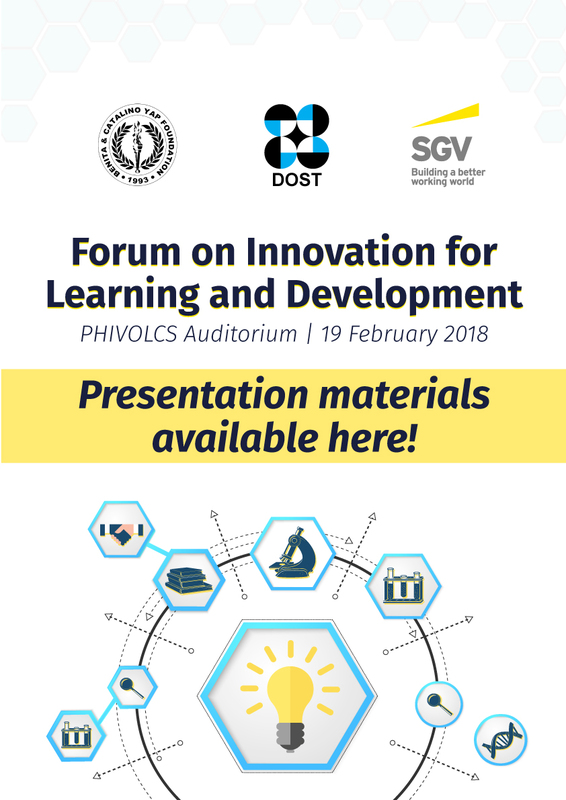 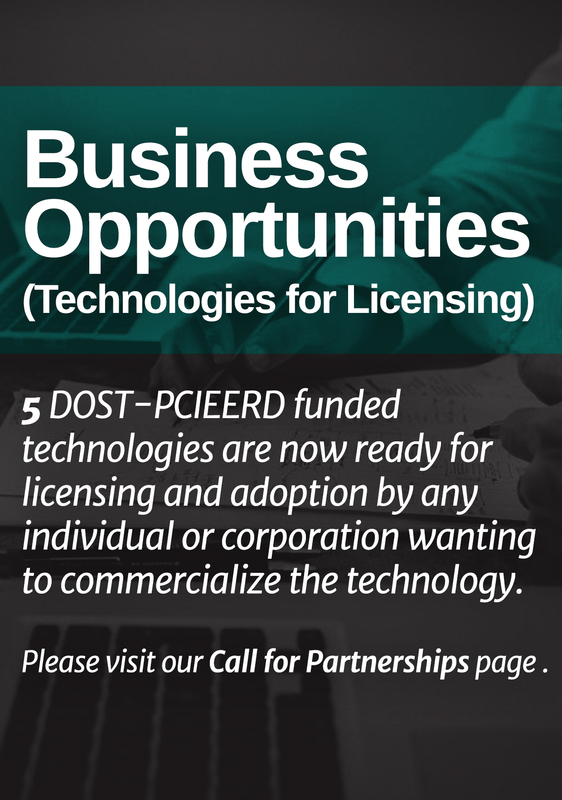 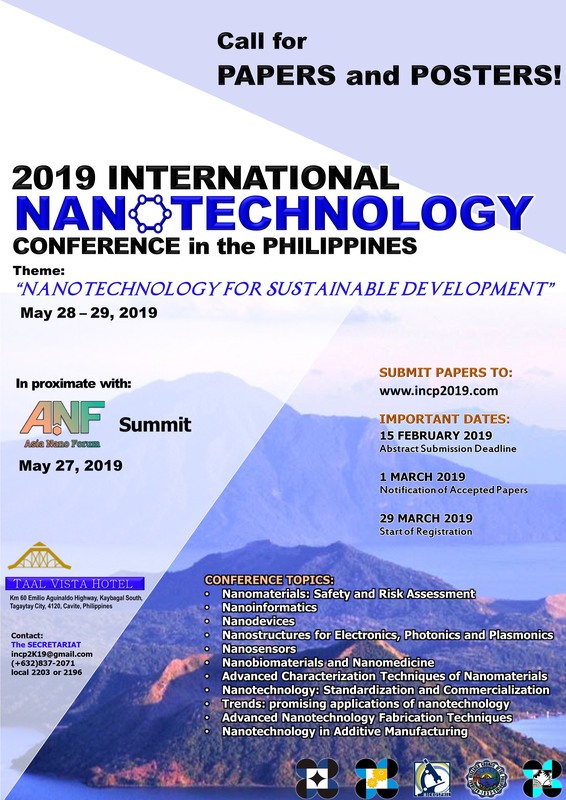 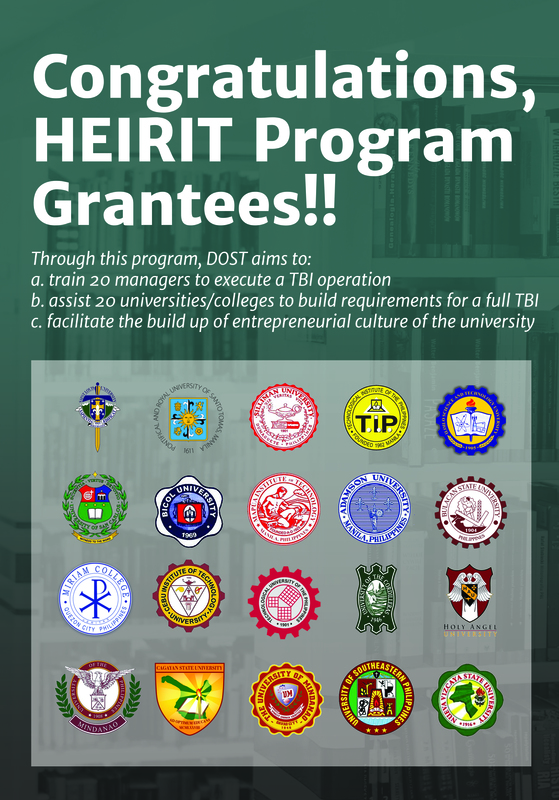 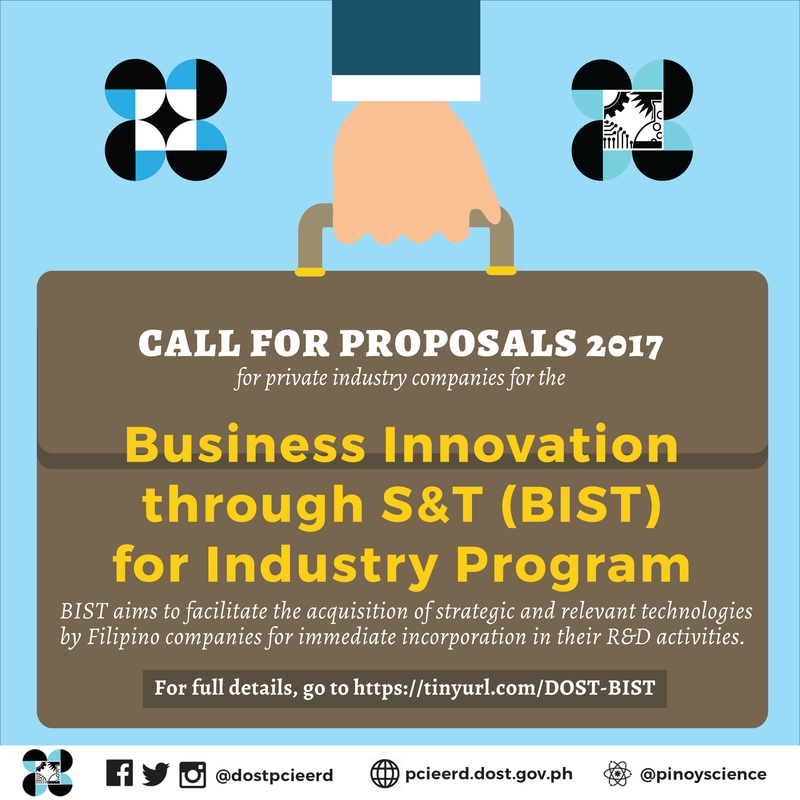 BIST aims to facilitate the acquisition of strategic and relevant technologies by Filipino companies for immediate incorporation in their R&D activities. 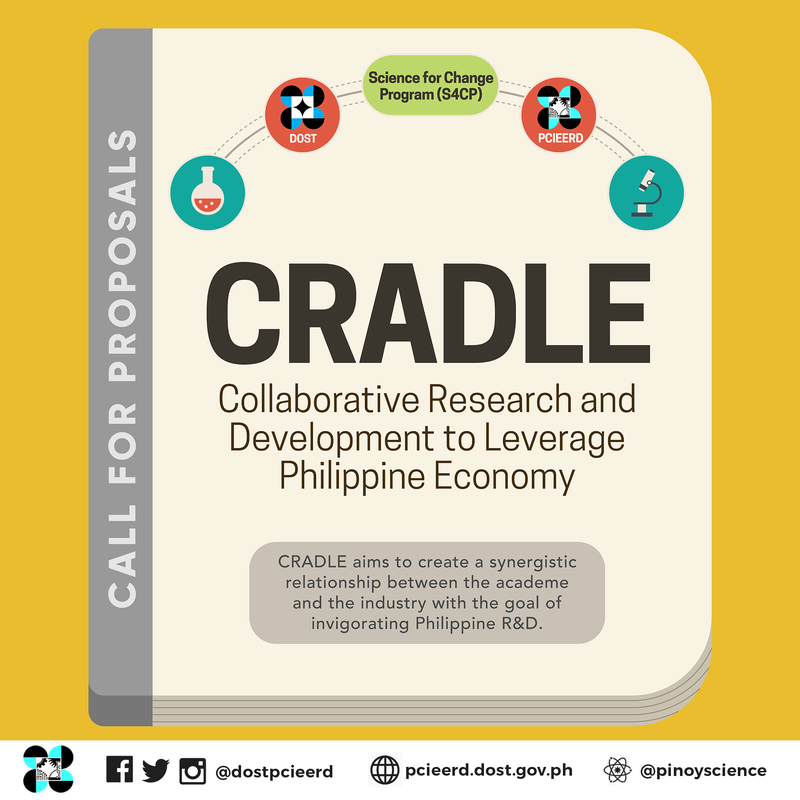 CRADLE aims to create a synergistic relationship between the academe and the industry with the goal of invigorating Philippine R&D. 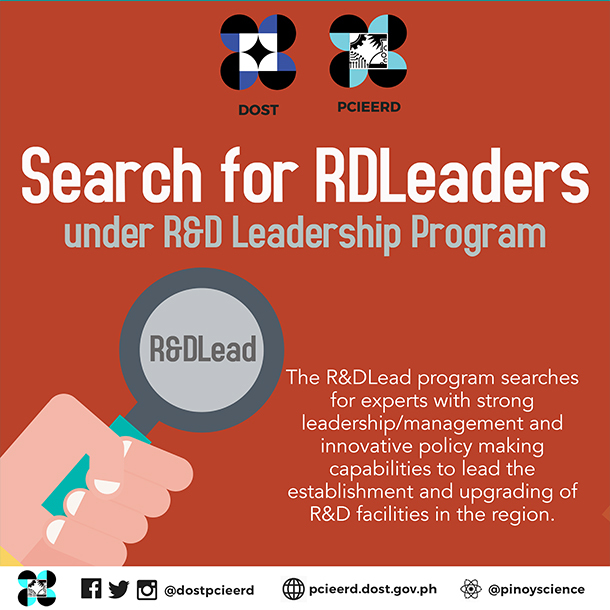 The R&DLead Program searches for experts with strong leadership/management and innovative policy making capabilities to lead the establishment and upgrading of R&D facilities in the region. 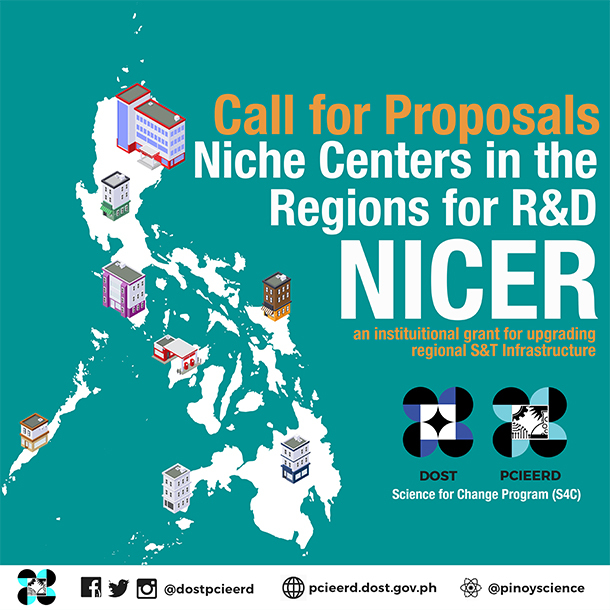 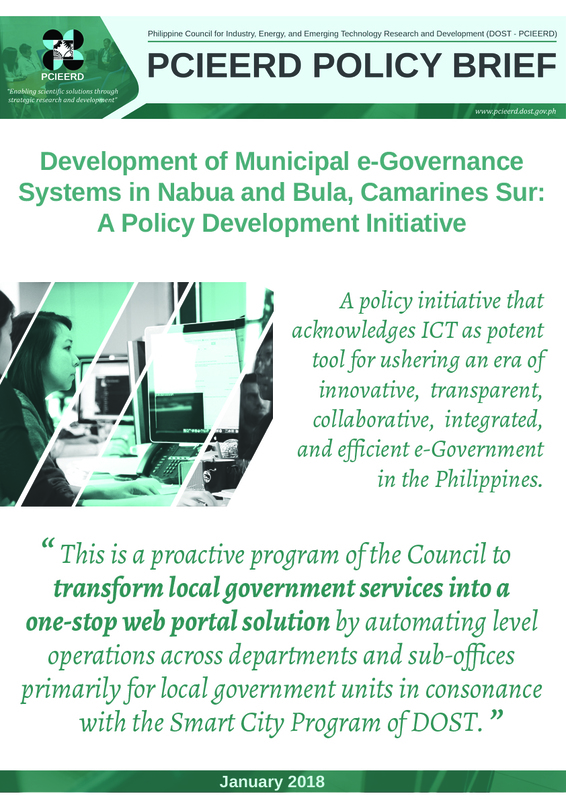 Call for Proposals - Niche Centers in the Regions for R&D NICER, an institutional grant for upgrading regional S&T Infrastructure. 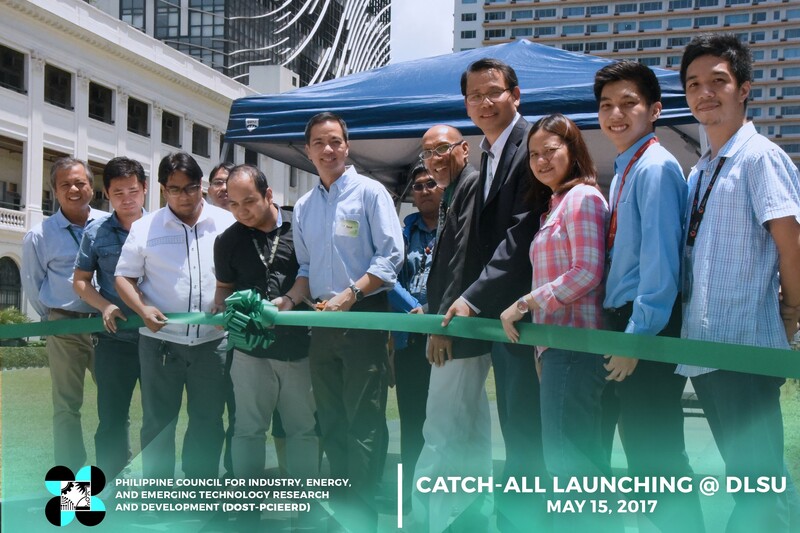 MANILA—The De La Salle University (DLSU), together with the Philippine Council for Industry, Energy, and Emerging Technology Research and Development (PCIEERD), launched the Contactless Apprehension of Traffic Violators on a 24-Hour Basis and All-Vehicle Detection System (CATCH-ALL) Project on May 15, 2017. 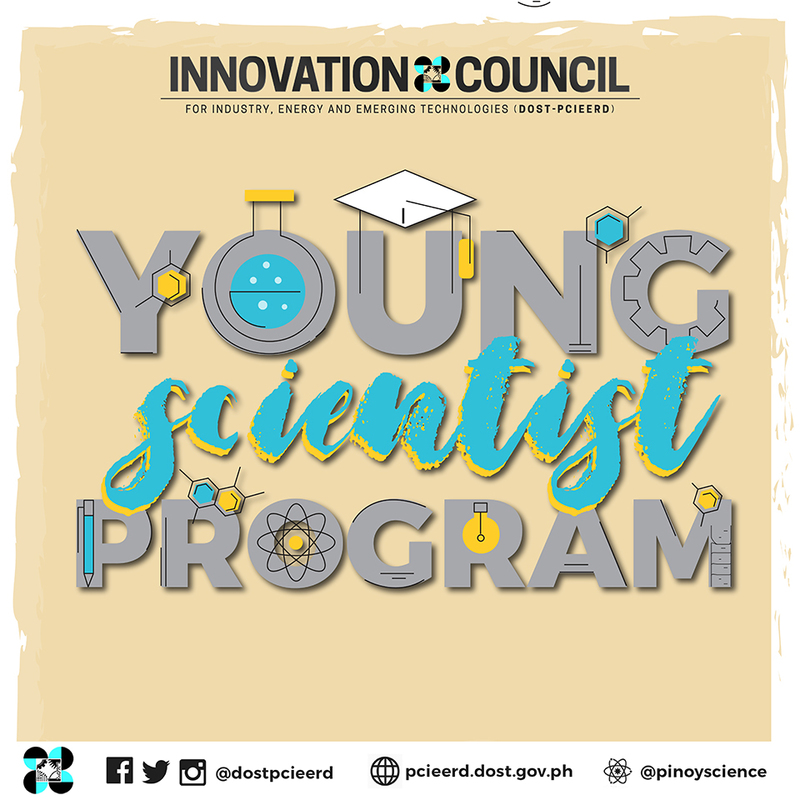 PCIEERD's Young Scientist Program is open to young talented researchers under the age of 30 who want to gain research experiment under a mentor. 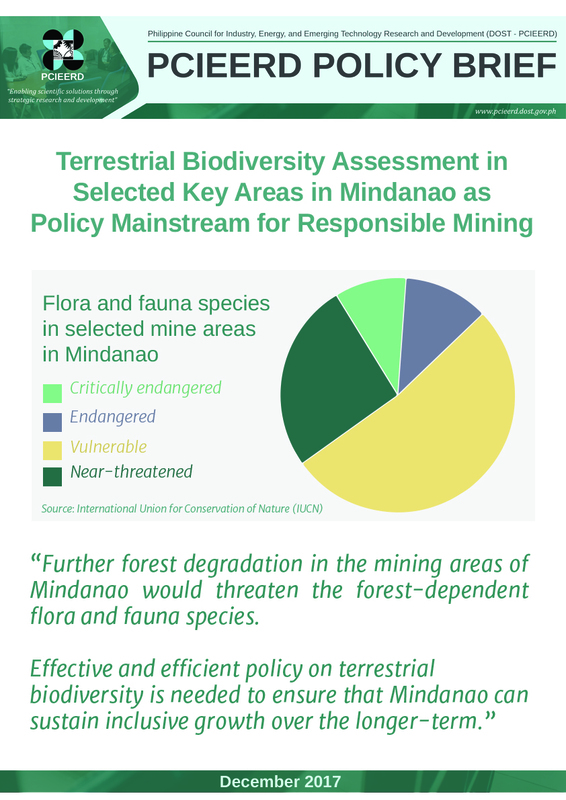 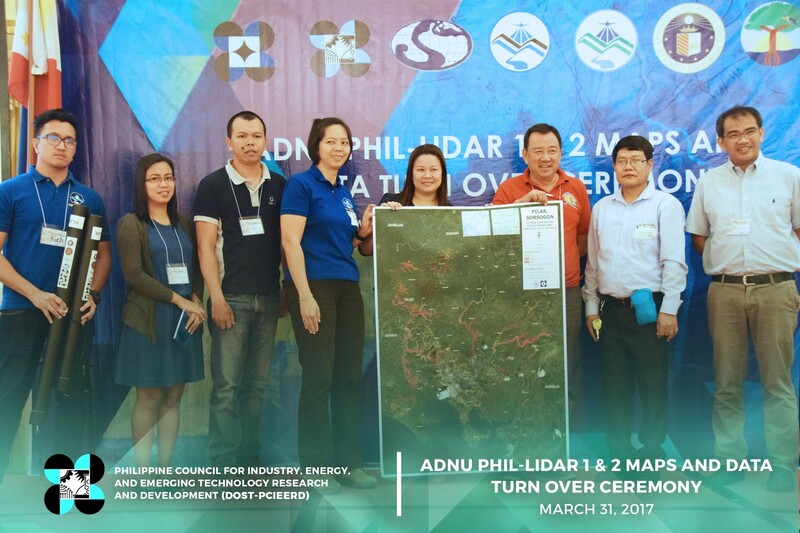 The research area must be within the PCIEERD sectoral priority areas and/or Harmonized National Research and Development Agenda(HNRDA). 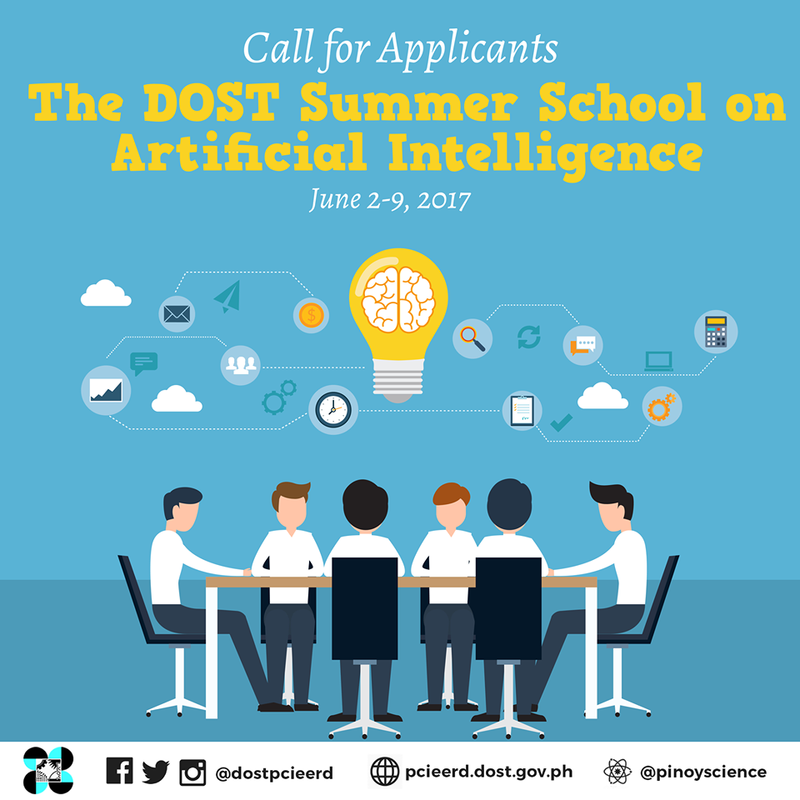 The DOST Summer School on Artificial Intelligence will run for 7.5 days including a one-day conference on AI for universities and researchers. 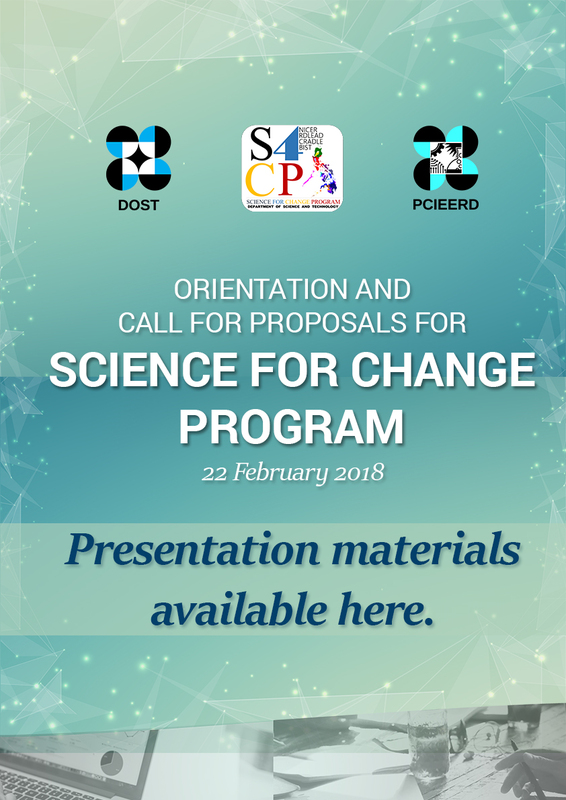 Each topic offered has a lecture component complemented with teacher-assisted programming exercise to reinforce key concepts and apply the algorithms to solve a relevant problem. 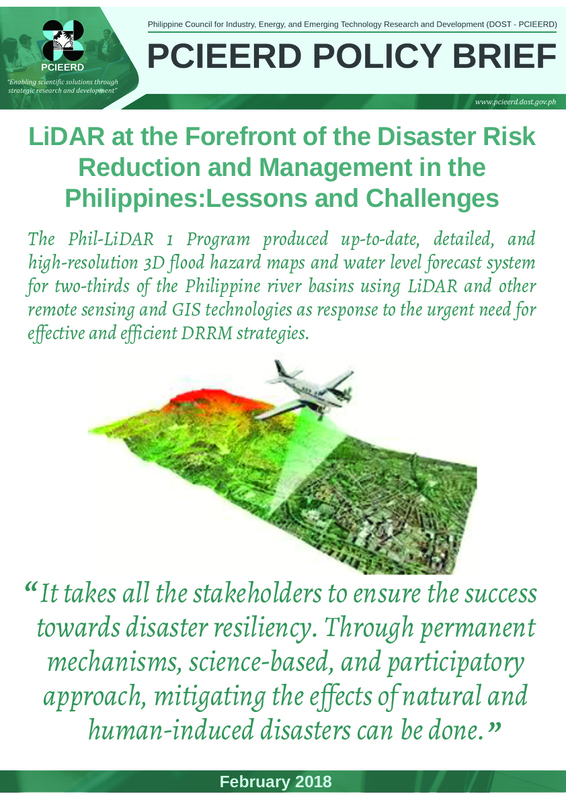 A total of fifty-six (56) sets of flood hazard maps and resources maps were turned over to different Local Government Units (LGUs) and regional government agencies of Bicol region. 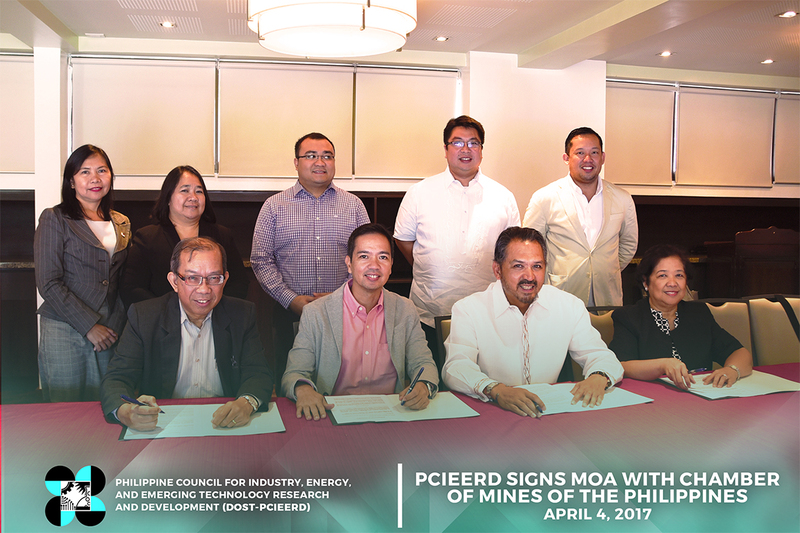 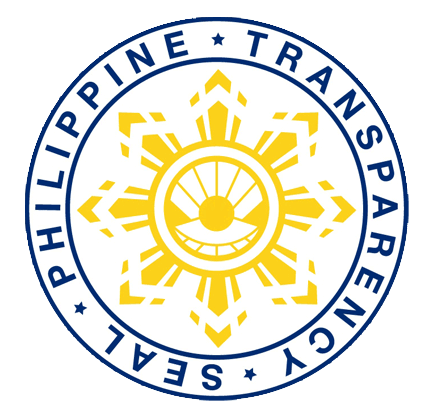 MAKATI, METRO MANILA—The Philippine Council for Industry, Energy and Emerging Technology Research and Development (PCIEERD) signed a memorandum of agreement with the Chamber of Mines of the Philippines (COMP) on April 4, 2017 to promote responsible mining and achieve economic growth and development.